Build A Tower, Build A Team! 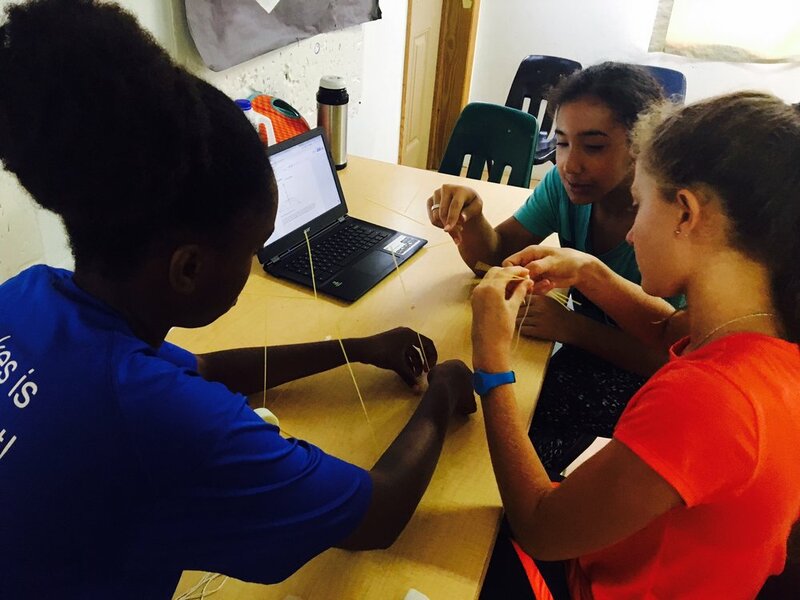 Under the direction of Virgin Islands Montessori and Peter Gruber International Academy middle school math teacher, Jamie Truax, the eighth grade class participated in a mini design project this week called the Marshmallow Challenge- a challenge that has been done all over the world in schools, conferences, and business meetings. "This challenge teaches the students teamwork, as well as STEM" Truax says. Students are given an envelope with 20 sticks of spaghetti, 1 marshmallow, 1 roll of tape, and 1 ball of string. Students were put in random groups and whoever creates the tallest structure wins. 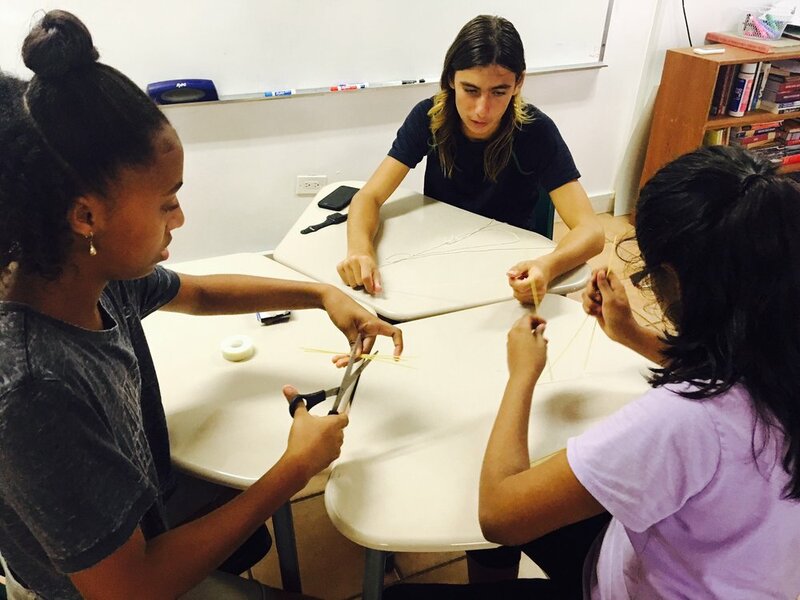 "I was so impressed by how the 8th graders collaborated to build a spaghetti structure." Truax says adding that students shared materials, and how wonderful it was to see each student work collaboratively towards achieving a common goal. The winners of the challenge were Audrianna, N'Jheri, and Sakari! Their structure stood 16.5 inches tall. 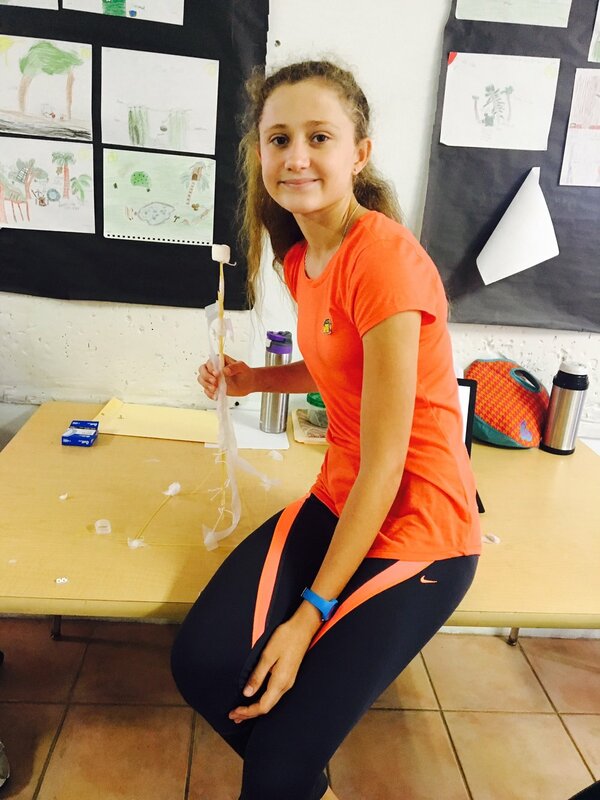 Learn more about the marshmallow challenge by watching this TED Talk!